This is for sure going to be a super quick post because I’m nearly on my way to Fantasy Filmfest Nights. 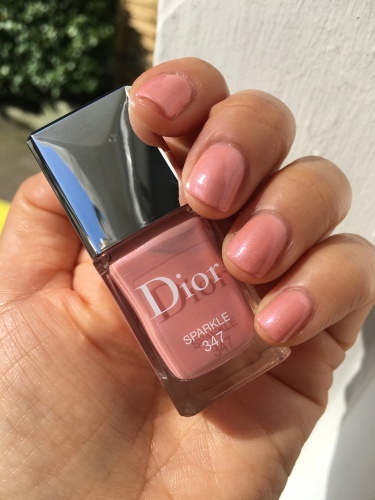 Its about Sparkle, the second nail varnish from Diorsnow 2019. 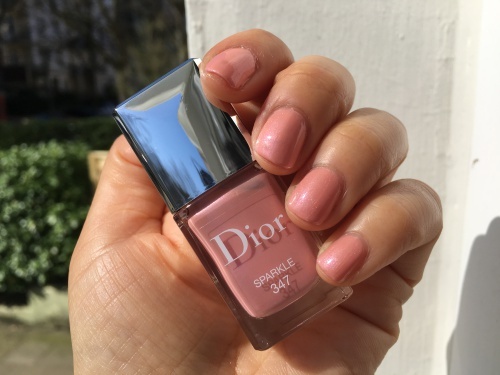 Again we have the frost finish but this time with a peach – and slightly pink – base. 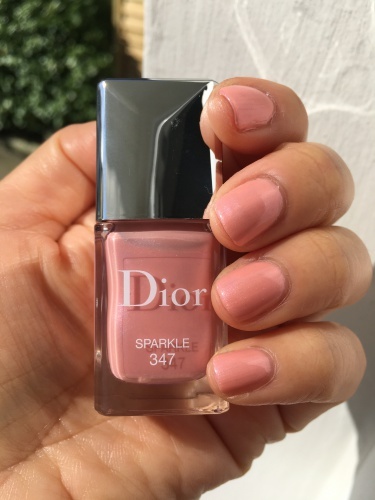 It’s ok on my nails but not my kind of shade. Shown below is two coats. 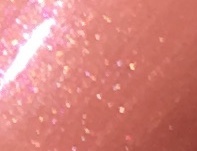 Close-up; the shimmer is indeed pretty! 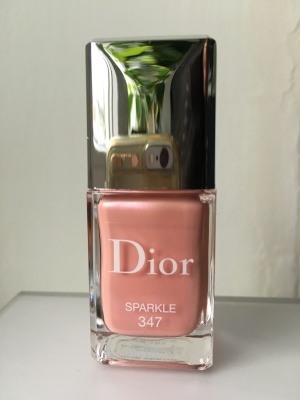 This entry was posted in Dior and tagged frost, peach, peach pink, shimmer, spring 2019. Bookmark the permalink. 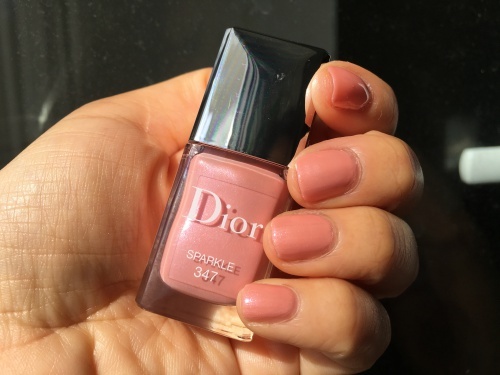 My personal nail polish database; this is just a small blog. If you wish a particular shade to be swatched, let me know. You may use my pictures for noncommercial purposes but please give full credit, including a link to my blog. Thanks!